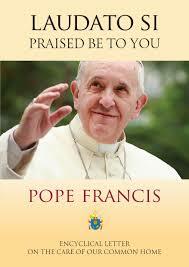 This is also the underlying theme of the encyclical Laudato Sì published by Pope Francis last June. It is not just a seasonal Latin American flavour at Vatican City. The earth’s tears are continuously manifested in different ways depending on the manner in which she is maltreated . 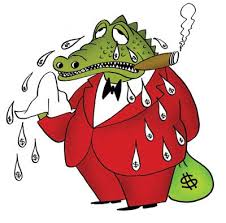 Environmental degradation has a considerable impact on the quality of life of us all except, that is, for the quality of life of the select few who pocket the profits by appropriating for themselves advantages (economic or otherwise) and lumping the negative impacts on the rest. 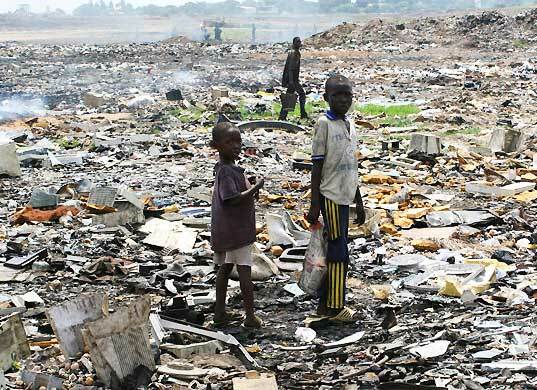 Environmental degradation is an instrument of social injustice. 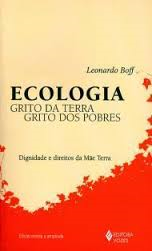 Consequently, enhancing the protection of the environment is also essential to restore social justice. The water table is subject to continuous daylight robbery: over the years it has been depleted by both authorised and unauthorised water extraction. What is left is contaminated as a result of the impact of fertilisers as well as surface water runoff from the animal husbandry industry. Theft and acute mismanagement are the tools used in the creation of this injustice. The Malta Freeport has been quite successful over the years in contributing to economic growth and job creation. The price for this has, however, been paid by Birżebbuġa residents – primarily through being subjected to continuous noise pollution on a 24/7 basis. Various residential units in the area closest to the Freeport Terminal are vacant and have been so for a considerable time. A noise report commissioned as a result of the conditions of the Terminal’s environmental permit will be concluded shortly. Hopefully, the implementation of its conclusions will start the reversal of the Freeport’s negative impacts on its neighbours. The Freeport, together with various fuel storage outlets, the Delimara Power Station (including the floating gas storage facility which will soon be a permanent feature) as well as fish-farms have together definitely converted Marsaxlokk Bay into an industrial port. As a result of various incidents during 2015, spills in Marsaxlokk Bay signify that Pretty Bay risks losing its title permanently. Fortunately, Birżebbuġa residents have been spared additional impact originating from minor ship and oil-rig repairs after they reacted vociferously to a decision by the MEPA Board to permit such work at the Freeport Terminal. Public Transport has made minor improvements but nowhere near what is required. It is essential that Malta’s congested roads are mopped up of the excessive number of cars. Improving the road infrastructure will just make it easier for more cars to roam about in our roads, thereby increasing the scale of the problem. The major consequences are a reduced ease of access and the deterioration air quality. We will soon be in a position to assess the impact of two other major projects: a business hub at the Malta International Airport as well as a car-racing track with various ancillary facilities. The former will take up land at the airport carpark but will have considerable impact on the surrounding villages. The car-racing track may take up as much as 110 hectares of land outside the development zone and have a considerable impact on both nature and local residents in the areas close to where it will be developed. The list of environmental impacts that we have to endure is endless. I could also have included the impact of the Malta Drydocks and the consequent squeezing out of residents from the Three Cities as a result of its operations, primarily as a result of sandblasting, in the 1970s and 1980s. I could also have added the impact of the waste recycling plant at Marsaskala and the refusal of the authorities to finance studies on the impact of its operations on the health of residents, or else the impact of the operation of petrol stations close to and within various residential areas. The size of the Maltese islands is limited. A number of the abovementioned activities/developments are essential, but others are not. However, it stands to reason that we should not bear the brunt of non-essential activities or developments. This should lead us to plan more carefully so that the impacts of the activities that are essential are adequately addressed. As evidenced by the above list, unfortunately over the years those taking decisions betrayed their responsibilities towards the common good, seeking, instead the interests of the select few thereby compounding social injustices. 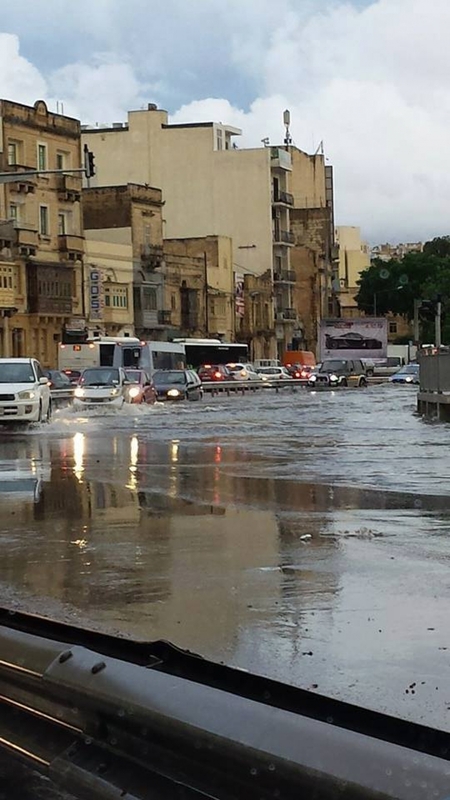 This is Malta’s contribution to the accumulated tears of Mother Earth. Il-ħsara ambjentali teffettwa lil kulħadd, imma b’mod speċjali tolqot iktar lil dawk li huma vulnerabbli. L-esperjenza tal-ħajja ta’ kuljum, imsaħħa bir-riċerka turi li l-agħar effetti tal-ħsara ambjentali jġarrbuhom l-aktar nies foqra. Per eżempju, n-nuqqas jew it-tniġġis tal-ilma jolqot l-iżjed lil dawk li huma l-aktar foqra, li għalihom ix-xiri ta’ flixkun ilma ħafna drabi hi spiża żejda. U meta f’diversi pajjiżi għola l-livell tal-baħar dan laqat l-ewwel lill-foqra li kienu qed jgħixu fi griebeġ mal-kosta, u li ma kellhomx iktar fejn imorru. M’aħniex konxji biżżejjed tal-problemi li jolqtu lil dawk li huma mwarrba mis-soċjetà. Illum ma nistgħux ma nagħrfux li l-impenn ambjentali irid jieħu ukoll dimensjoni soċjali. Dan għandu jdaħħal diskors dwar il-ġustizzja fid-diskussjonijiet dwar l-ambjent, biex nifhmu dejjem iktar li l-karba tal-art hi ukoll il-karba tal-fqir. Il-ħsara ambjentali hi l-kawża ta’ inġustizzja soċjali. Flok jindirzzaw il-problemi tal-foqra uħud iwaħħlu fiż-żieda fil-popolazzjoni u jippruvaw ma jagħtux importanza lill-konsumiżmu estrem u selettiv tas-soċjetà moderna. B’hekk jippretendu li jilleġittimizzaw il-mudell ta’ distribuzzjoni tar-riżorsi li għandna llum, fejn hemm minoranza li temmen li għandha dritt tikkonsma fi proporzjon li qatt ma jista’ jiġi applikat fuq livell universali, għax il-pjaneta bilkemm l-iskart ta’ konsum bħal dan ma tkun kapaċi żżomm. Iktar minn hekk, terz tal-ikel li nipproduċu qed jinħela: l-ikel li jintrema qed jinsteraq minn fuq il-mejda tal-fqir. Iż-żieda fil-konsum taf twassal għat-tlaqqigħ flimkien ta’ problemi marbuta mat-tinġis ambjentali, il-mezzi ta’ trasport, it-trattament tal-iskart, il-qerda ta’ riżorsi, u l-kwalità tal-ħajja. Jeżisti “dejn ekoloġiku” bejn il-pajjiżi żviluppati u dawk inqas żviluppati. Dan id-“dejn ekoloġiku” hu marbut ma’ żbilanċ fil-kummerċ b’konsegwenzi fil-qasam ekoloġiku, kif ukoll mal-użu sproporzjonat tar-riżorsi naturali storikament imwettaq minn xi pajjiżi. L-esportazzjoni ta’ xi materja prima biex tissodisfa s-swieq tal-pajjiżi industrijalizzati ħalliet warajha ħafna ħsara ambjentali, bħal, per eżempju t-tinġis bil-merkurju fil-minjieri tad-deheb jew bid-dijossidu tal-kubrit fil-minjieri tar-ram. It-tisħin ikkawżat mill-konsum enormi ta’ xi pajjiżi għonja għandu riperkussjonijiet fl-ifqar postijiet ta’ din l-art, speċjalment fl-Afrika, fejn iż-żieda fit-temperatura flimkien man-nixfa għandha effetti diżastrużi fuq l-agrikultura. Ma’ dan inżidu r-rimi ta’ skart tossiku f’pajjiżi li qed jiżviluppaw minn intrapriżi ibbażati f’pajjiżi żviluppati. Dawn jagħmlu fil-pajjiżi mhux żviluppati dak li m’huwiex permess li jsir f’pajjiżhom. Ġeneralment, meta jwaqqfu l-attività tagħhom u jitilqu, iħallu warajhom ħsarat kbar umani u ambjentali, bħal qgħad, irħula bla ħajja, il-qerda ta’ ħażniet naturali, deforestazzjoni, tifqir fil-biedja u fil-merħliet tal-post, ħofor kbar, għoljiet imħarbta, xmajjar imniġġsa u xi opra soċjali li ma tiflaħx tieqaf iktar fuq riġlejha”. Din hi s-sejħa li tagħmlilna l-art. Hi s-sejħa tal-fqir li hu ukoll misruq mill-ġid li tagħtu n-natura biex biex bih jistagħna ħaddieħor. Il-ħsara ambjentali hi l-kawża ta’ inġustizzji soċjali kbar li lkoll isiru f’isem l-iżvilupp. Għax fl-aħħar huma dawk l-iktar vulnerabbli fostna li l-iżjed iħossu l-konsegwenzi tal-qerda ambjentali li qed isseħħ madwarna. Għalhekk kull pass il-quddiem, (żgħir jew kbir), li nagħmlu biex inħarsu l-ambjent ta’ madwarna huwa pass biex innaqqsu l-inġustizzji ta’ madwarna. Fl-2015, l-ambjent taħt assedju. Fl-2016 l-assedju ikompli. Is-sena 2015 kienet waħda li fiha l-ambjent kien taħt assedju. Assedju li bla dubju ser jintensifika ruħu matul is-sena d-dieħla. Għax ma hemm l-ebda dubju li l-aġenda tal-Labour hi waħda kontra l-ambjent. Bla dubju mument importanti fl-2015 kien ir-referendum abrogattiv dwar il-kaċċa fir-rebbiegħa. Referendum li intilef bi sbrixx imma li xorta wassal messaġġ qawwi, prinċipalment minħabba li huwa riżultat li nkiseb minkejja li kemm il-PN kif ukoll il-PL dejjem appoġġaw il-kaċċa fir-rebbiegħa. Wara spikka il-każ taż-Żonqor li wassal għal dimostrazzjoni kbira ġol-Belt. Iktar tard il-Gvern ipprova jagħti l-impressjoni li kien qed jagħti kaz u dan billi ċċaqlaq ftit. Il-qagħda tat-trasport pubbliku matul l-2015 tjibiet ftit imma għadha lura ħafna minn dak li jixraqlu u għandu bżonn dan il-pajjiż. Hi l-unika tama li tista’ tnaqqas il-pressjoni taż-żieda tal-karozzi fit-toroq. Hi l-unika tama għal titjib fil-kwalità tal-arja. Inutli jwaħħlu fil-ħinijiet tal-ftuħ tal-iskejjel. Matul l-2015 l-ilma tax-xita flok ma jinġabar fi bjar li qatt ma saru, baqa’ jintefa’ fit-toroq. Issa li x-xogħol fuq il-mini taħt l-art ġie konkluż il-periklu fit-toroq ser jonqos għax il-parti l-kbira tal-ilma ser jispiċċa l-baħar. Il-flus li intefqgħu fuq dawn il-mini kienu fil-parti l-kbira tagħhom flus moħlija. Kien ikun iktar għaqli kieku intefqgħu biex l-ilma jinġabar flok biex jintrema. F’nofs dawn l-aħbarijiet negattivi kollha ġiet ippubblikata l-enċiklika ambjentali tal-Papa Franġisku. Fiha tinħass sewwa t-togħma Latino-Amerikana ta’ Leonardo Boff li tenfasizza r-rabta bejn il-faqar u t-tħassir ambjentali. Hemm tama li din l-enċiklika tista’ tkun ta’ siwi biex iktar nies jiftħu għajnejhom. F’Ġunju l-Kap tal-Opposizzjoni qalilna li l-PN fil-Gvern għamel diversi żbalji ambjentali u li jixtieq li jibda paġna ġdida. Din id-dikjarazzjoni ta’ Busuttil tikkuntrasta ma dak li ntqal fir-rapport tal-PN dwar it-telfa fejn ġie emfasizzat li l-PN kien vittma ta’ sabutaġġ minn dawk maħtura biex imexxu (inkluż ovvjament mill-MEPA). Il-battalja tat-torrijiet għadha magħna. Preżentement hemm pendenti żewġ applikazzjonijiet f’tas-Sliema, waħda f’Townsquare (38 sular) u oħra f’Fort Cambridge (40 sular). Ir-residenti, li bħal dejjem jispiċċaw iġorru l-konsegwenzi ta’ dawn id-deċiżjonijiet, huma injorati. Kellna t-tniġġiż fil-baħar. Diversi inċidenti fil-Port ta’ Marsaxlokk li bihom ġie ikkonfermat, jekk qatt kien hemm ħtieġa ta’ dan, li l-Bajja s-Sabiħa m’għandhiex iktar sabiħa. Dan minħabba li issa l-port sar definittivament wieħed industrijali. L-unika ħaġa li jonqos huwa t-tanker sorġut b’mod permanenti fil-port biex fih jinħażen il-gass. Nhar is-Sibt jorħos il-prezz tal-petrol u d-diesel. Għal uħud imissu ilu li raħas. Forsi kien ikun aħjar li ma raħas xejn. Hemm bżonn kull mezz possibli biex jonqsu l-karozzi mit-toroq. Il-prezz tal-fuel hu wieħed minn diversi miżuri li jekk użati bil-għaqal jistgħu jagħtu frott. Il-problema imma, sfortunatament hi li ma hemmx volontà politika. IL-MEPA ser tinqasam. L-ippjanar għalih u l-ambjent għalih. Mhux ser isir wisq ġid b’din il-miżura għax is-saħħa amministrattiva li għandu pajjiż żgħir ġejja miċ-ċokon tiegħu. Meta taqsam l-awtorita f’biċċiet tkun ferm inqas effettiv. Hekk ser jiġri. Il-MEPA ma kienitx qed taħdem sewwa għax ma ħallewiex taħdem sewwa. Għax kienet imxekkla minn bordijiet li jew ma jifhmux inkella b’aġenda moħbija. Dan hu l-wirt li s-sena 2015 ser tħalli lis-sena 2016. L-unika ħaġa pożittiva hi li bil-mod qed tiżviluppa kuxjenza ambjentali fost il-ġenerazzjonijiet li tielgħin. L-enċiklika Laudato Sì tal-Papa Franġisku tpoġġi quddiemna numru ta’ riflessjonijiet dwar il-ħarsien tal-ambjent liema riflessjonijiet huma apprezzati minn kulħadd, inkluż minn min ma jemminx. Riflessjoni ewlenija hi dwar kif Franġisku l-ieħor, Franġisku ta’ Assisi, tmien mitt sena ilu, kien iqies lin-natura bħal parti mill-familja. Bla dubju ġejna mfakkra fil-kliem immortalizzat minn Franco Zeffirelli fil-film Fratello Sole, Sorella Luna dwar ħuna x-xemx u oħtna l-qamar. Din hi stedina biex aħna ukoll inqiesu lin-natura bħala parti integrali mill-familja tagħna. Dan nistgħu nagħmluh jekk napprezzaw iktar ir-rwol importanti li n-natura għandha f’kull waqt ta’ ħajjitna. Din mhix biss parti mill-filosofija franġiskana. Insibuha ukoll fil-kultura indiġena ta’ diversi popli. Per eżempju, fit-tribujiet Indjani fl-Istati Uniti tal-Amerika kif ukoll fit-tribujiet fid-diversi partijiet tal-Amerika Latina. 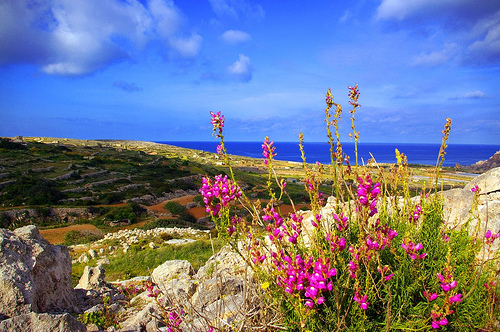 Hi attitutdni magħġuna ukoll fil-biedja tradizzjonali li żviluppat f’rispett u sintonija sħiħa man-natura. Aħna parti mill-istess familja għax niffurmaw parti minn eko-sistema waħda. Kull azzjoni tagħna għanda impatt fuq dak kollu li jseħħ madwarna, bl-istess mod li dak li jseħħ madwarna għandu impatt fuqna. Jekk inniġġsu l-arja qed inniġġsuha għal kulħadd. Dan iwassal mhux biss għal mard respiratorju imma ukoll għall-iżbilanċ fil-klima, tant li l-istaġuni bdew jitħawwdu. La taf iktar meta jispiċċa s-sajf u l-anqas meta tibda ix-xitwa jew ir-rebbiegħa. Dan qed jeffettwa kemm lill-uċuħ tar-raba’ kif ukoll lis-siġar li donnhom bdew jitgħażżnu. Qed jeffettwa is-sistemi naturali kollha li fuqhom tiddependi l-ħajja. In-natura taħdem bħall-katina : kull ħolqa marbuta ma’ u msaħħa (jew imdgħajfa) mill-ħolqa ta’ ħdejha. Ftit iktar minn ħamsin sena ilu, ż-żooloġista Amerikana Rachel Carson ippubblikat il-ktieb tagħha bl-isem Silent Spring (Ir-Rebbiegħa Siekta). Tosserva kif l-użu bikri tal-pestiċidi ma kienx qed jeffettwa biss l-insetti li kienu qed inaqqru l-uċuħ tar-raba’. Imma kien qed ikollu effett drastiku fuq ħlejjaq oħra, bħall-għasafar, insetti u pjanti li huma ta’ għajnuna kbira għalina. Għax l-għasafar li kienu jfittxu lil dawn l-istess insetti kienu qed jiġu b’mod indirett avvelenati minn l-istess pestiċdi. B’dan il-mod kien hemm nuqqas notevoli ta’ għasafar u bħala konsegwenza n-nuqqas tagħhom kien qed jinħass f’rebbiegħa li kienet qed isir dejjem iżjed siekta. Għalhekk Silent Spring. Carson kienet qed temfasizza li l-pestiċidi kien qed ikollhom effetti li jmorru lil hinn minn dak intenzjonat: kienu qed jagħmlu ħsara konsiderevoli lill-eko-sistema. Ħamsin sena ilu, Rachel Carson kebbset l-ewwel xrara għal attiviżmu ambjentali fl-Istati Uniti tal-Amerika, li wara infirex mal-erbat irjieh tad-dinja. Għax bħala riżultat tal-osservazzjonijiet xjentifiċi tagħha, iżjed nies indunaw kemm in-natura hi katina waħda : aħna l-bnedmin niddependu ukoll mid-dudu tal-art jew mill-insetti. Din hi l-katina tal-eko-sistema li torbot flimkien lill-bniedem mal-ħamrija u mal-ajru, mal-ilma tax-xita u mal-klima, mal-insetti u mal-annimali li jħokku żaqqhom mal-art. Ħarsu ħarsa madwarkom. Ħarsu lejn is-sigar meta dawn jinżgħu mill-weraq tagħhom. Osservaw kif anke dak il-weraq midbiel, li għalina jidher li ma’ għandu l-ebda użu jew valur, jitmermru w jgħinu lill-ħamrija li terġa’ titma’ lill-istess siġar. In-natura hi bieżla u ma taħlix. Dawn il-lezzjonijiet sempliċi nsibuhom kontinwament madwarna kieku aħna kapaċi li b’umiltà nħarsu u nosservaw biżżejjed. Għax fi ħsieb Franġisku l-ieħor, in-natura hi bħal oħtna l-kbira li dejjem tieħu ħsiebna. Anke għalhekk jixirqilha r-rispett. Għax dinja waħda għandna u hi d-dar tagħna lkoll. Id-diskussjoni ta’ hawn fuq saret qabel l-elezzjoni tal-2013. Il-bieraħ waqt id-diskussjoni li ġiet organizzata mill-Kummissjoni Ambjent tal-Knisja dwar l-enċiklika tal-Papa Franġisku Laudato Si Simon Busuttil ammetta li l-PN fil-Gvern għamel l-iżbalji dwar il-boathouses tal-Armier. Offra l-kooperazzjoni tal-Opposizzjoni lill-Gvern biex dawn l-illegalitajiet jitneħħew. Joseph Muscat qal li ma jridx jibda mill-Armier. Iżda minn każijiet ferm iktar gravi. Bdew jiċċaqalqu t-tnejn li huma. Forsi l-ewwel pass għaqli jkun li kemm il-PN kif ukoll il-PL iħassru kull ftehim li għandhom ma’ dawk li bnew il-boathouses. Anke l-Knisja hemm bżonn li tieħu posizzjoni. S’issa l-illegalitajiet ġew imbierka mill-Knisja li torganizza attivitajiet reliġjużi fl-Aħrax tal-Mellieħa. L-Aħrax tal-Mellieħa jixraqlu jkun tagħna lkoll. L-enċiklika hi imsejħa “Laudato Si”, l-ewwel żewġ kelmiet fl-edizzjoni Latina. Huma ukoll l-ewwel żewġ kelmiet tal-Kantiku tal-krejaturi ta’ Franġisku ieħor, ta’ Assisi, li jfissru jkun imfaħħar (il-Mulej). Oħtna d-dinja qed issofri ħsara kbira riżultat tal-użu ħażin mill-bniedem tar-risorsi ta’ din l-art. Il-ftit ħsara ekoloġika ta’ kull wieħed minna għalkemm tista’ tidher żgħira, meta tinġabar flimkien tammonta għal ħsara ferm ikbar. Oħtna d-dinja marida minħabba fina. Dan il-mard hu rifless fl-art, fl-ilma, fl-arja u f’kull forma ta’ ħajja fuq din l–art. Hu manifestat ukoll fil-bdil fil-klima li hi riżultat tal-ħidma tal-bniedem. Hemm relazzjoni mill-qrib bejn il-fqar u l-fraġilità tad-dinja. Il-ħarsien tal-ambjent u l-ħarsien tal-fqar u l-vulnerabbli jimxu id f’id. Il-fqar jgħidilna Franġisku huma mċaħħda minn dak li hu essenzjali biex jgħixu b’dinjità fil-waqt li l-għonja jiffangaw. Il-qerda ekoloġika hi l-ħolqa bejn it-tnejn. Dan kollu qed iwassal għal dejn ekoloġiku sostanzjali li hu l-wirt li ser inħallu lill-ġenerażżjonijiet futuri. Huma l-foqra li ser iħallsu dan id-dejn riżultat tar-regħba u l-ħela tar-riżorsi tad-dinja tul is-snin. Dan hu l-messaġġ mifrux fuq il-184 paġna tal-enċiklika. Il-qerda ambjentali u l-inġustizzji soċjali huma ż-żewġ naħat tal-istess munita. Inkluż il-bdil fil-klima. Jixterdu ħafna demgħat f’dawn il-ġranet. Id-diskorsi li jsiru jemfasizzaw il-ħtieġa tas-solidarjetà ma min għaddej minn tbatija. Il-Papa Franġisku emfasiżża t-tbatija tal-Insara ippersegwitati f’Mosul kif ukoll dak li għaddejjin minnu minoritajiet etniċi f’diversi partijiet tad-dinja. Ankè l-President ta’ Malta Marie-Louise Coleiro Preca f’messaġġ imqanqal tkellmet kontra l-faqar. Huwa immorali, qalet il-President, li nibqgħu siekta meta nkunu iffaċċati b’theddid għall-ħajja u attakki kontra d-dinjità umana. Id-diskorsi tal-Papa u tal-President ta’ Malta f’Jum il-Milied inisslu demgħat ġenwin, demgħat li jirriżultaw minn solidarjetà. Imma jgħaddu ftit ġranet (jekk mhux ftit siegħat) u ħafna jinsew kollox. Id-demgħat tal-Milied ta’ uħud malajr isir dmugħ tal-kukkudrill. L-ispirtu tal-Milied hemm bżonnu ghal 365 ġurnata, kontinwi u bla waqfien. 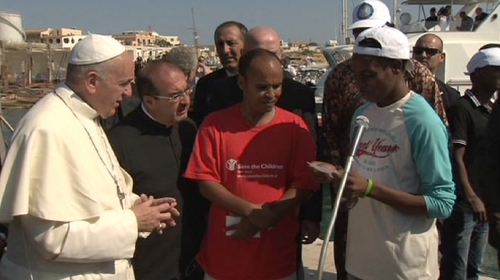 The Pope thanked the inhabitants and the authorities of Lampedusa for their solidarity with the immigrants and greeted the Muslims among them who today begin the fast of Ramadan, and added, “The Church is at your side as you seek a more dignified life for yourselves and your families”. “This morning, in the light of God’s Word which has just been proclaimed, I wish to offer some thoughts to challenge people’s consciences, to lead them to reflection and a concrete change of heart”. “’Adam, where are you?’ This is the first question God poses to man after his sin. Adam lost his bearings, his place in creation because he thought he could be powerful, able to control everything, to be God. Harmony was lost, man errs and this error occurs over and over again also in relationships with others. The ‘other’ who is no longer a brother or sister to be loved, but simply another person who disturbs our lives and our comfort. God asks a second question, ‘Cain, where is your brother?’. The illusion of being powerful, of being as great as God, even of being God Himself, leads to a whole series of errors, a chain of death, even to the spilling of a brother’s blood! God’s two questions echo even today, as forcefully as ever. How many of us, myself included, have lost our bearings; we are no longer attentive to the world in which we live … we do not take care of that which God created for all of us, and we are no longer capable even of looking after each other. And when humanity as a whole loses its bearings, it results in tragedies like the one we have witnessed. “’Where is your brother?’ His blood cries out to me, says the Lord. This is not a question directed to others, it is a question directed to me, to you, to each of us. These brothers and sisters of ours were trying to escape difficult situations to find some serenity and peace; they sought a better place for themselves and their families, but instead they found only death. How often do such people fail to find understanding, fail to find acceptance, fail to find solidarity. And their cry rises up to God! I recently listened to one of these brothers of ours. Before arriving here, he and the others were at the mercy of traffickers, people who exploit the poverty of others, people who live off the misery of others. How much these people have suffered! Some of them never made it here. “’Where is your brother?’ Who is responsible for this blood? In Spanish literature there is a work by Lope de Vega which narrates how the inhabitants of the city of Fuente Ovejuna kill their tyrannical governor, and they do so in a way that no-one knows who carried out the execution. And when the king’s judge asks, ‘Who killed the governor?’, they all answer, “Fuente Ovejuna, my lord”. Everybody and nobody! Today too, this question emerges forcefully: who is responsible for the blood of these, our brothers and sisters? Nobody! That is our answer: it isn’t me, I don’t have anything to do with it; it must be someone else, but certainly not me. Yet God is asking each of us: ‘Where is the blood of your brother which cries out to me?’. Today no-one in our world feels responsible; we have lost a sense of responsibility for our brothers and sisters; we have fallen into the hypocrisy of the priest and the Levite whom Jesus described in the parable of the Good Samaritan: we see our brother half dead on the side of the road, perhaps we say to ourselves: ‘poor soul…!’, and then go on our way; it’s not our responsibility, and with that we feel reassured. The culture of comfort, which makes us think only of ourselves, makes us insensitive to the cries of other people, makes us live in soap bubbles which, however lovely, are insubstantial; they offer a fleeting and empty illusion which results in indifference to others; indeed, it even leads to the globalisation of indifference. We have become used to the suffering of others, it doesn’t affect me; it doesn’t concern me; it is none of my business. The globalisation of indifference makes us all ‘unnamed’, responsible yet nameless and faceless. “’Adam, where are you?’ ‘Where is your brother?’ These are the two questions which God asks at the dawn of human history, and which he also asks each man and woman in our own day, which he also asks us. But I would like us to ask a third question: ‘Has any one of us wept because of this situation and others like it?’ Has any one of us grieved for the death of these brothers and sisters? Has any one of us wept for these persons who were on the boat? For the young mothers carrying their babies? For these men who were looking for a means of supporting their families? 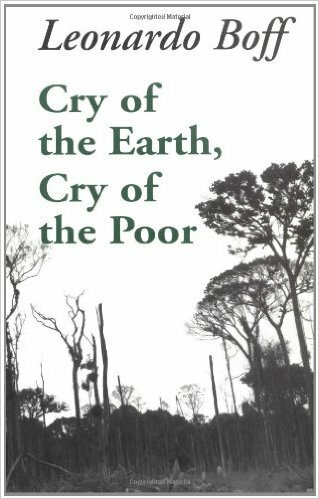 We are a society which has forgotten how to weep, how to experience compassion – ‘suffering with’ others: the globalization of indifference has taken from us the ability to weep! 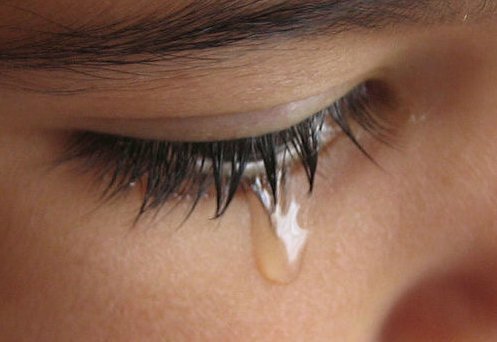 In the Gospel we have heard the crying, the wailing, the great lamentation: ‘Rachel weeps for her children… because they are no more’. Herod sowed death to protect his own comfort, his own soap bubble. And so it continues… Let us ask the Lord to remove the part of Herod that lurks in our hearts; let us ask the Lord for the grace to weep over our indifference, to weep over the cruelty of our world, of our own hearts, and of all those who in anonymity make social and economic decisions which open the door to tragic situations like this. “In this liturgy, a penitential liturgy, we beg forgiveness for our indifference to so many of our brothers and sisters. Father, we ask your pardon for those who are complacent and closed amid comforts which have deadened their hearts; we beg your forgiveness for those who by their decisions on the global level have created situations that lead to these tragedies”.